Dance Trance is an all inclusive dance fitness program that will allow you to access an entirely new population that would not have been assess-able without our easy-to-follow extensive teaching and management program. With over 25 years of experience and locations around the globe, Dance Trance is delivering a dance fitness program tool that allows gym owners to set up and manage a new program that may be unfamiliar. What is the advantage of adding Dance Trance? It is unique and attracts not only fitness enthusiasts, but moms and dance students that may have left their dancing days behind. The well developed class structure appeals to the slow beginner (PACE beginners program), the average fitness student (Intermediate Break Down program) and the fast paced enthusiast (Dance Trance High Cardio). Due to all the recent media, reality shows and popularity of dance programs, promotions can drive a host of new members into your facility. DT has three levels of programming, so it is not just a fitness class. Each level will bring in separate revenue streams. This helps cover all levels of students that would like to attend a dance fitness class. We also offer mileage restrictions around your facility to assure that you are the only program offered. Another licensee cannot open next door to you! How is Dance Trance different? Dance Trance is a structured program and lifestyle brand. It incorporates dance, fitness, nutrition and social activities into a complete healthy lifestyle package. It differs from other dance fitness programs because of the choreography pattern, current music and diverse styles. 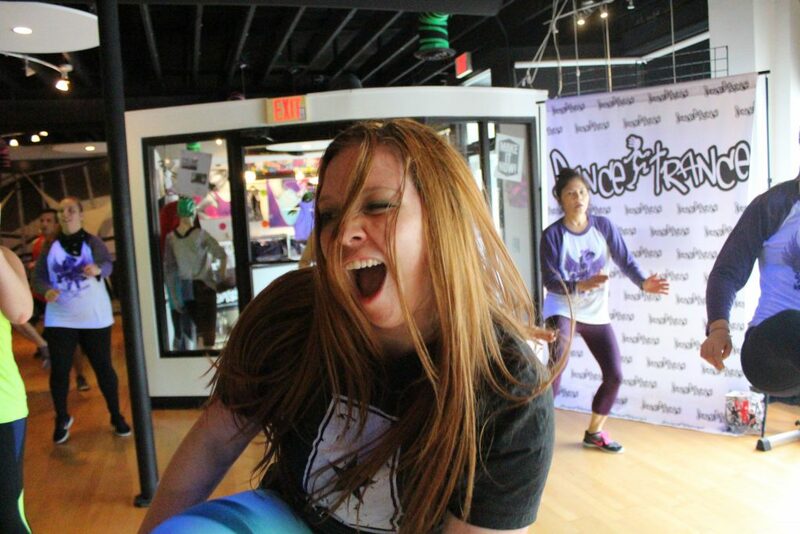 We choreograph a wide range of music genres,so you get Pop, Rock, Jazz, Latin, and Hip Hop all in one class. Dance Trance uses original artists recordings, not re-mixed music. We also are continuously choreographing material, so fresh takes on a whole new meaning when you introduce songs as soon as they hit radio play. If you want to add Dance Trance to our schedule or increase the quality of your current dance fitness program, Dance Trance is a great way to provide the fun, but also to insure quality and a proven track record. All Dance Trance instructors are certified and trained by our professional staff.